Hi there! Well, we had a great vacation, but it's good to be home and back in the swing of things! But I still have vacation brain...I don't know what day it is and this week's challenge totally krept up on me. Thankfully, last night was Mommy's Night and I was able to get some crafty time! Woweeeee!! What's a girl to do? Luckily I found these 5 and Dime papers from October Afternoon which was my jumping off point. 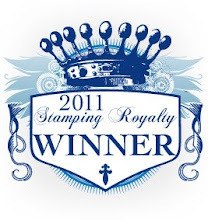 Going through my Stamping Royalty prize pack I found this awesome What's Cooking set from Taylored Expressions. I can't believe I didn't already own it. It's Fabulous! When I saw the thank you sentiment I knew immediately I wanted to use it as our neighbors just has us over on Sunday for a BBQ! PERFECT! I paper pieced my apron and oven mitts and I dyed a piece of Ripe Avocado ribbon from PTI with a Copic marker to make it Garden Green! My sentiments is a metal rimmed tag covered with a circle of patterned paper. I poked a hole through the top and hung it from the ribbon above with some baker's twine. The rest really needs no explanation so I will spare you the deets. HOWEVER, I will say I'm dying to see what everyone creates with this palette!!! You must give it a try! 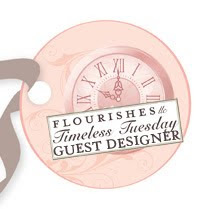 Head on over to the CTD Blog to read up on the participation details and don't forget to visit the blogs of the CTD designers to see what amazing creations they have for you today! This is adorable! I LOVE that 50's look it has with the apron and the patterns. Very pretty. Yeah, these colors will definitely be a challenge!! How adorable, Laura! I love your paper pieced apron!! Too, too retro and cute!! Aw, this is super cute! LOVE those papers--every single one of them! This is adorable! I love the apron in the circle and the papers you used are great! 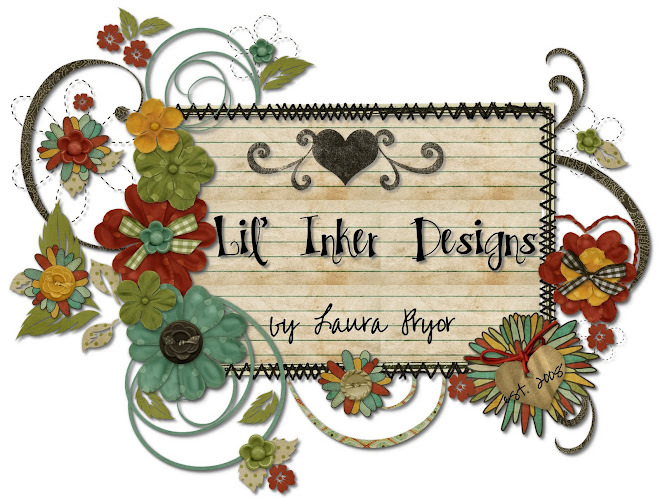 This is such a darling design, Laura! LOVE the mix of patterns, and the layout!